In tomorrow's episode, bakers get Scandinavian with Danish Week, battling it out in yet another new theme for a place in the semi-final. 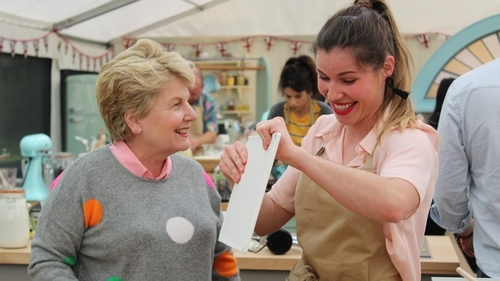 This week sees the bakers getting to grips with Danish Week, chosen by presenter Sandi Toskvig after last week's vegan theme was chosen by Noel. Contestants will be hoping to impress Sandi with their delicate bakes and robust flavours, and here's everything you can expect from the show. On the menu will be a bread signature, challenging bakers to create intriguing flavour combinations and achieve a perfect rise, all under the watchful gaze of master baker Paul Hollywood. Next, a "spherical" technique is sure to have viewers and contestants scratching their heads, while the showstopper will be a mega-sized pastry confection, so expertly done that not even Hamlet, Prince of Denmark could refuse a slice. While the tent will surely be heating up, hearts will melt when all the contestants walk in wearing Hawaiian shirts in honour of Jon, who was sent home last week. Danish baking, as well as much of Scandinavian baking at large, is notable for its use of rich and earthy flavours and a taste for sturdy breads designed to last through the cold winters. While the minimalist style of the Nordic countries is mimicked and celebrated across the world, baking in those parts combines that fuss-free attitude with something else the Scandinavians are famous for - "hygge", or cosiness. Comforting blends of vanilla, cinnamon and cardamom are melded through comforting desserts like buns, pastries and dense cakes, while seasonal fruit is used to liven up sweet treats in the summer. Strawberries are particularly popular and beloved across the countries. Their breads are rich and often dark, using rye and creating sturdy loaves that pair excellently with butter or cheese. "Largom" is a Swedish term meaning "not too much or too little, just enough" and is echoed right across the Nordic countries. And, of course, you have "fika", a Swedish term for the kind of informal afternoon tea that the Nordic countries include in their day. It translates as "to meet up for a cup of coffee and a piece of cake" and it's cherished. We suggest indulging in your own "fika" tonight as you watch Sandi bounce around with happiness while bakers try to master Danish baking!